There are a seemingly endless array of cruise companies offering ships of all sizes and itineraries of varying durations around the globe. 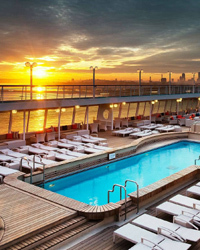 We work closely with all the major cruise lines, including P&O Cruises, Fred Olsen Cruise Lines, Cunard and Princess Cruises to name just a few, so have lots of great offers available. 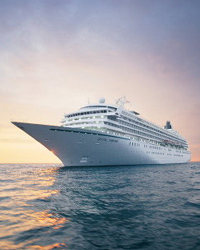 A Crystal cruise offers a cruise experience on board 6* luxury ships with exceptional service to the highest level, and a holiday that you will never forget. Crystal ships have an elegant design and although the ships are mid to large size, the maximum occupancy is 1,100 guests, which provides abundant space. The Crystal difference earned them recognition as the World’s Best and as soon as you step on board you can really see why. With a stress free way of life and drinks included you don’t need to worry about anything apart from having a fantastic holiday. The currency on board is US$ and gratuities are already included in your cruise fare so there are no hidden extras when you get on board. Africa, Alaska, Antarctica, Asia, Australia & New Zealand, Caribbean, Hawaii & South Pacific, Mediterranean, Mexican Riviera, New England & Canada, Northern Europe, South America, Panama Canal, Transatlantic crossings and Grand Cruises.